Elephant Hills is Thailand’s first Luxury Tented Jungle Camps, combining the camp idea of African national parks with the Thai tropical forest environment. 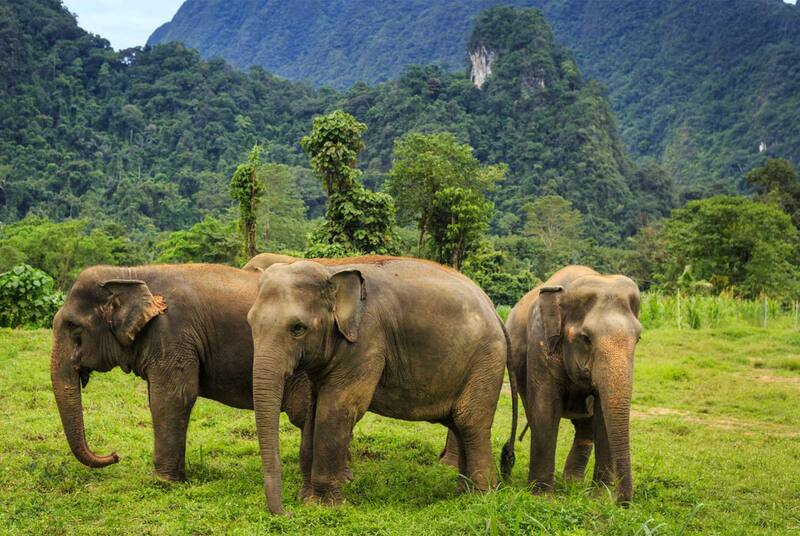 The two camps, The Elephant Camp and the floating Rainforest Camp, are both situated in Khao Sok, part of Southern Thailand’s largest stretch of primary Rainforest. Despite being tucked away in the Green, these camps are easily reachable from popular beach destinations like Phuket, Khao Lak, Khanom, Krabi and even Koh Samui. Elephant Hills offers 2-4 day luxury adventure tours in and around stunningly beautiful Khao Sok National Park in Southern Thailand. Highlight of our tours is our unique Elephant Experience, during which you will get to wash, feed and interact with these magnificent creatures. Besides that, you do have the option to marvel at breathtaking landscapes while lazily being paddled down a river in a canoe, explore mysterious mangrove swamps and legendary jungle lakes full of limestone formations, relax at deserted beaches, visit local markets, discover primary rainforest on foot and much more. After an exciting day at out you may enjoy a drink from our Jungle Explorer’s Bars either at The Elephant Camp or at Rainforest Camp while exchanging travel tales with other guests before sinking onto the comfortable mattress in your luxurious en-suite tent.